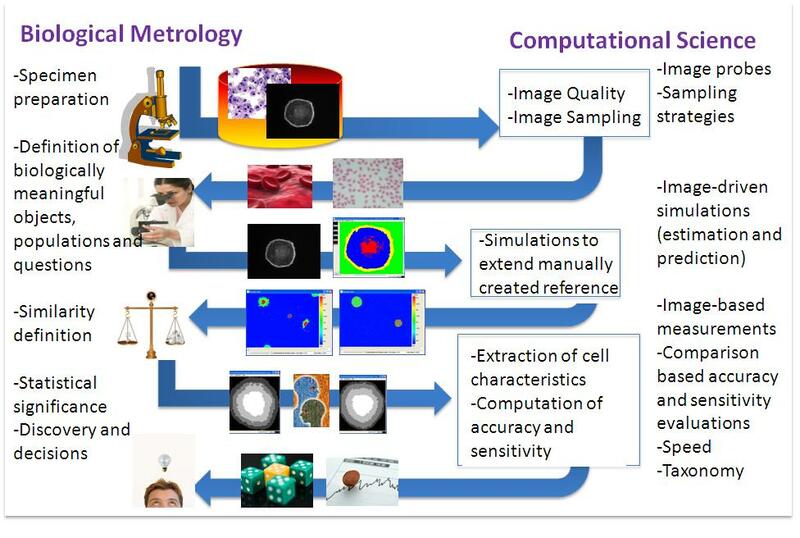 Computational Science in Biological Metrology (CS in Bio Metrology) project is about Computational Science and Biology Delivering Measurements with Statistical Significance and Repeatability. The goal of the project is to ensure quality in biomedical research and clinical applications by evolving biology into a quantitative and information science. These activities will support applications such as: biomanufacturing, drug discovery, basic bio-medical research, medical intervention, diagnostics, and regenerative medicine. For more information, see the project URL with data, activities, and software. Quantitative Cell Biology using Microscopy Imaging and Image Analyses.